White peacocks are Nymphalinae butterflies. 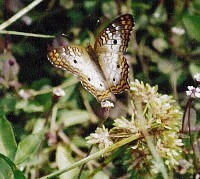 Their host plants are white hyssop and wild petunias. 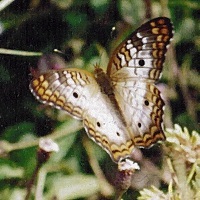 With distinctive markings and scallop-edged wings, the White Peacock is easy to identify. 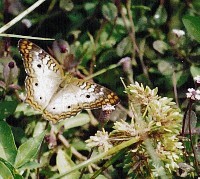 A White Peacock nectaring on matchheads near a pond.